Designed specifically for the support of the back, joints, and the body in general, a good quality orthopedic mattress can help alleviate pain or discomfort that often accompanies deformities or disorders of the joints and spine. The Continental Sleep Mattress Twin Size Assembled Orthopedic Mattress, for instance, is a prime example of what an ideal orthopedic mattress should be: gentle but firm. An orthopedic mattress has been specifically designed for the primary purpose of comfortable and continuous support for the user’s entire body but especially so for the neck, shoulders, hips, and spine. When all of these body parts are well aligned, relaxed, and correctly positioned even while the user tosses and turns, the result is a sufficient night’s sleep without interruption. Is there such a bed? There are orthopedic beds and then there is the Continental Sleep Mattress Twin Size Assembled Orthopedic Mattress. 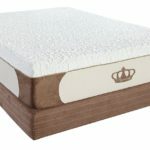 In deciding whether or not this mattress is the appropriate one for your particular needs, you need to consider existing health issues you have, i.e., chronic back pain, arthritis, etc., your budget, and the thickness you prefer (the thicker the mattress, the firmer – or “harder” – it is). 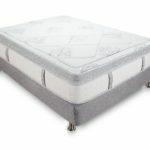 You may want to consider the Continental Sleep Mattress Twin Size Assembled Orthopedic Mattress for its firmness and heavy duty construction that both provide reliability of performance and long term durability, two factors which fairly constitute a good investment in a sleep mattress. 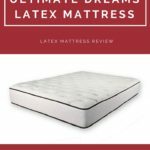 Let us see how this particular mattress fares when it comes to features, pros and cons, cost, and customer reviews, among other factors. This Continental Sleep model, made entirely in the U.S.A., comes fully assembled and ready for use straight from the manufacturer. This matter guarantees complete customer satisfaction as a result of Continental Sleep’s unparalleled customer service and excellent product quality. Remember that choosing the right kind of mattress makes a big difference when it comes to quality sleep and overall health. This Twin Size Assembled Mattress is equipped with a six inch-Box Spring and both are covered by a quilted and stretch knit fabric material in beige, an ideal combination of quality, aesthetics, and comfort in a sleep mattress. Available in twin, full, queen, and twin XL sizes, this particular model’s innerspring mattress has a total of 357 verticoil units that have a 13¾ SH gauge and six gauge border, respectively. These coils and innersprings conform to the body’s curves to help reduce pressure points found in the neck, shoulders, back, neck, and spine that can develop from turning and tossing during sleep. Unlike other similarly-purposed orthopedic mattresses in its class, this Continental Sleep Twin-Sized comes with a box spring to fit it in, meaning it is an actual bed and not just a compressed, rolled up mattress. While there are many inexpensive mattresses on the market right now, the challenge is finding one that is the fully assembled orthopedic type. 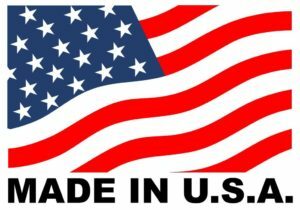 This Continental mattress model is made in the U.S.A. from materials devoid of potentially hazardous chemicals and other toxic substances. Additionally, this twin size model has edges that are firm enough for use as a regular daybed which is normally for seating. Suitable for all types of sleepers, the Continental Sleep Mattress Twin Size Assembled Orthopedic Mattress can be easily shipped. The mattress weighs 40 pounds and has an assembled height, width, length, and depth of six, 39, 75, and 39 inches, respectively. It meets the Federal Fire Code 1633 as well as the Federal Standards Code 1632. It is delivered to your doorstep fully assembled and ready to use. The orthopedic firmness this Continental Sleep mattress model provides is the result of the box spring’s exact thickness (six inches). With the Continental Sleep Mattress Twin Size Assembled Orthopedic Mattress you get the benefits of support for your upper back and whole body because it is fully compatible with and can fit standard frames such as bunk beds and day beds to name a couple of sleep furniture. 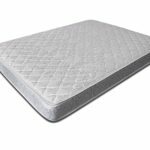 One of the things which have made the Continental Sleep Mattress Twin Size Assembled Orthopedic Mattress increasingly popular is that its firmness is “just right.” This means that the mattress is neither too rigid nor too slouchy. The former translates to a body that wakes up with stiffness in the joints, shoulders, and neck, among others, and the latter simply means you will develop a bent spine over time. Continental Sleep provides a warranty of ten years for its Twin Size Assembled Orthopedic mattress. This generous offer – one of the best among other similarly-purposed brands in its class – only goes to show that this product is durable in quality and material and reliable in performance; why else would an established company like Continental Sleep stake its reputation on an inferior item? Based on 11 Amazon reviews, 64% of customers of the Continental Sleep Mattress Twin Size Assembled Orthopedic Mattress gave it five stars out of five to increase its overall rating of 4.4 stars out of five. Most of the cons that customer reviews submitted, however, did not daunt others from purchasing the mattress. 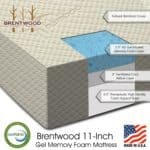 As one customer put it, this mattress is a perfect blend of firmness and soft cushion. 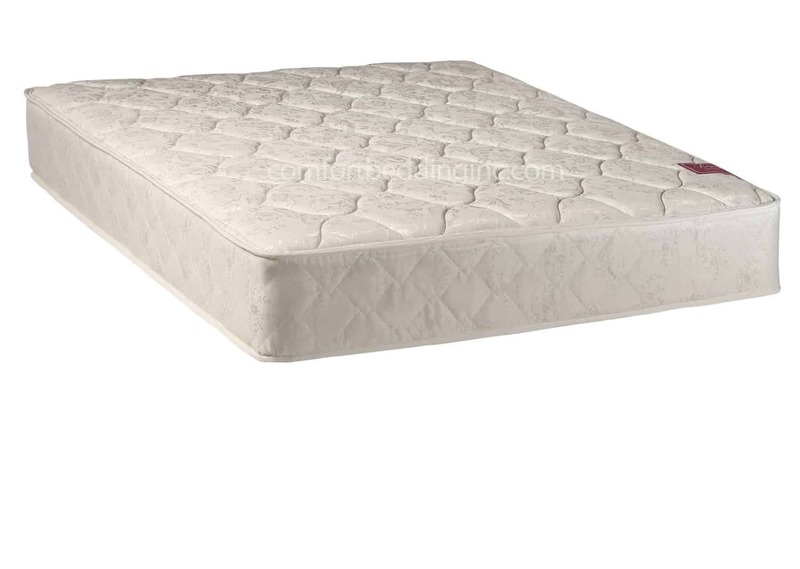 “Exceptional mattress for its price” is also another statement that satisfied customers have come to associate with the Continental Sleep Mattress Twin Size Assembled Orthopedic Mattress. The majority of positive reviews of this mattress noted its solid and sturdy construction even as it mentioned how it still feels “cushiony” and soft throughout sleep. Customers with small children or grandchildren also made mention of the fact that this mattress can withstand the “constant pounding” it is given by those tiny hands and fists on a regular basis. Ironically, the durability of this mattress is also translatable as “too hard” for some people to sleep on comfortably. Side sleepers may find that turning and tossing during the night can waken them as their limbs land on this firm mattress. 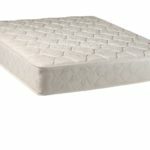 What makes the Continental Sleep Mattress Twin Size Assembled Orthopedic Mattress such a great buy is its price. Before you think that it is expensive, take note of all the pros and features that accompany the purchase of a mattress such as this. 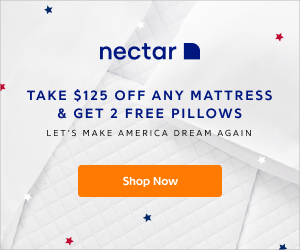 As one customer noted in a review, the benefits that you can obtain from this mattress far outweigh any misgivings you may have about its price. Orthopedic mattresses are an investment by themselves especially if it is the Continental Sleep Mattress Twin Size Assembled Orthopedic Mattress. This doesn’t mean that you should buy it based simply on a whim or the disposable income you have on hand. If you are just in need of a replacement mattress, for instance, you only need one which will match your bed frame’s size. Additionally, if you want a completely new sleep experience on a new bed and you have the extra cash to spare to pay for it, buying the Continental Sleep Mattress Twin Size Assembled Orthopedic Mattress would be practical and self-fulfilling. If health is your primary reason for buying an orthopedic mattress, ensure that it is a Continental Sleep model and you will not regret making that decision. Should you buy the Continental Sleep Mattress Twin Size Assembled Orthopedic Mattress? It all boils down to your particular needs. As its name indicates, its primary purpose is to provide firm support to users with back conditions such as arthritis, chronic back pain, etc. This is another reason why this mattress carries such a price tag: it has been designed, developed, and manufactured for specific needs. If you want your comfort level to be firm without necessarily having back conditions, the recommendation to purchase the Continental Sleep Mattress Twin Size Assembled Orthopedic Mattress remains. Some people really just don’t want to sleep on soft mattresses; this mattress will serve these people well. On a final note, this mattress can prevent your posture from heading south upon regular use.